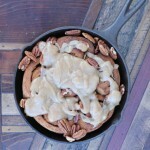 I never use white or “whole wheat” flour in my cinnabun cookies or in any of my recipes. Do we have anyone who is celiac in my family, no, BUT I do understand the connection of what wheat does to our body and cells when we consume it. This is why I replace flour with whey protein and nut flours. This is really a great video of Dr. William Davis (author of Wheat Belly) describing why no one should consume wheat. It is worth everyone watching. CLICK HERE to see the entire video (3 parts). If you are looking for more information like this, Dr. Davis wrote the foreword to my book “Secrets to a Healthy Metabolism”. Get you copy HERE. Do want to learn more on how to eat the foods you love and still lose weight? Or do you need a little encouragement to help you stay on track or supplement ideas for beating those cravings? Even if you are a pretty savvy dieter, I am teaching a Maximize Your Metabolism class recorded. Click HERE to get the slides and the video recording. Preheat oven to 325 °F (165 °C). Sift almond flour with whey, natural sweetener and baking powder. Add the butter and 1 egg into the dry mixture and mix well until you have a smooth dough. Place a sheet of plastic wrap on counter, then grease or spray with baking spray. Place dough on greased plastic, push the dough down a bit, and grease with another layer with coconut oil or spray. Top with another sheet of plastic wrap. Roll the dough out with a rolling pin until a long rectangle shape (9×12) or so. Then remove the top layer of plastic. Cinnamon filling: Mix 3 tbsp (45 mL) butter, 3 tbsp (45 mL) cinnamon, 3 tbsp (45 mL) erythritol and ¼ tsp (1 mL) stevia glycerite together. Use to spread evenly over the dough (make sure the top layer of plastic is off the cookie dough). Roll up dough using the edge of the plastic to make a tight log. Cut into 1/2inch pieces. Bake for 8 minutes or until baked through (insert a toothpick to check doneness…the toothpick should come out clean). Cream cheese frosting: In a medium bowl, blend 6 tbsp (90 mL) cream cheese, 3 tbsp (45 mL) butter, 2 tbsp (25 mL) unsweetened almond milk, 2 tbsp (25 mL) erythritol and 1/4 tsp (1 mL) stevia glycerite until very smooth. It will thicken up overnight. 1 teaspoon of cinnamon per day can lower LDL cholesterol. Cinnamon has a regulatory effect on blood sugar, making it especially beneficial for people with type II diabetes or anyone who wants to lower insulin levels. It has shown an amazing ability to stop medication-resistant yeast infections. Cinnamon has an anti-clotting effect on the blood. Taking cinnamon in the morning can provide significant relief in arthritis. When added to food, it inhibits bacterial growth and food spoilage, making it a natural food preservative. It is also a great source of manganese, fiber, iron, and calcium! “Hi Maria, I have read ALL the diet books, I’ve done LOTS of different diets, LOTS. I understood each diet’s CONCEPTS, but never understood the science UNTIL I met Maria Emmerich! I was eating arugula, spinach, strawberries, blueberries, Ezekial bread, nuts and seeds and on and on, you name it, if we were suppose to eat it, I ate it, including grass fed grass finished beef and I still couldn’t keep the weight off! I could lose weight but I have never been able to maintain it. AND, I would never lose everything I needed to loose. Now I understand some of the science thanks to Maria, and what IS affecting my chemistry, and I will continue to be a STUDENT with her daily BLOG’S etc.! Before I had a consultation and worked with Maria for 6 weeks, I had been introduced to Maria’s BLOG by an acquaintance almost a year prior. I read, read, read her BLOGS etc. and also bought ALL of her books except the children’s one at that time. That was a year ago. I started to incorporate her recommendations in to my life, food wise, and even some of the supplements she recommends, and I actually still wasn’t loosing. I mentioned this to the acquaintance who introduced me to Maria’s BLOG and she theorized that maybe there is something, supplement wise, that Maria could zero in on that would help me loose and maintain, or that maybe I am still doing something wrong, meaning eating something wrong. WELL, after working with Maria for 6 weeks I think she has zero’d in on the culprit, dairy!!!! Also, I was, occasionally, eating the Trader Joe’s sprouted grain bread, so between that and the occasional dairy, we are on to something VERY important for me. I am only getting detailed and personal to help you understand that Maria KNOWS HER STUFF! Maria is exactly what I have been looking for, someone who could/would/and did tailor her services to ME, and for ME! Getting back to ALL the books I have read and diets I have done, I have never read one or talked to anyone who can and does explain the science like Maria does, plus I understand it at the same time!! To get started like Mary did, click HERE. I am so going to try this recipe, Maria. It looks SOOO good and I’ve been trying to figure out how to bake with Jay’s delicious powders. 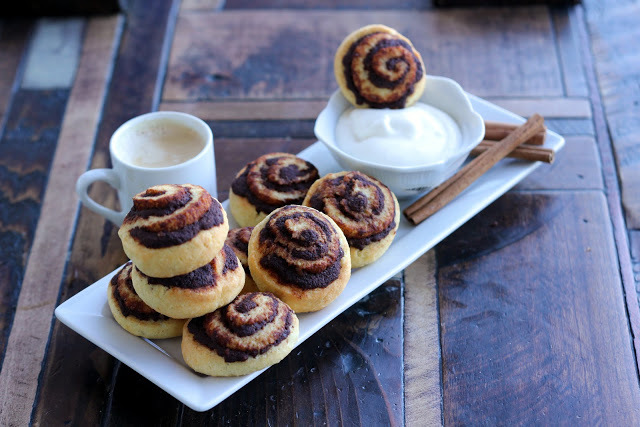 Just one thing though… What temperature are you baking these Cinnabun Cookies at? I’m assuming 350? I tried these and they are awesome!!!! I will be making these again… Maria you are amazing!! OMG…These are soooo good. like I dont trust myself around them lol Soo good ! WOW. I just made these and they are AMAZING. My dough was super sticky and I knew I was not going to be able to roll them, though, so I just baked it flat with the cinnamon filling on top. Then I cut it into pieces and drizzled the frosting on. OMG!!! Really wonderful recipe, thank you!!! These are soooo tasty! I was thrilled to find a new recipe that I’m certain I will make again and again. Thanks Maria! You’re always talking about not eating processed foods but isn’t whey protein powder very processed? Okay thanks. By the way these cinnabun cookies are amazing!! These are the best low carb cookies ever! I will be making these again very soon!!! Just finished making these. Mine do not look at all like the picture for the record. not horrible, just not so nice looking either. did not get 24 pieces. But the taste is phenomenal !! I think that with sticky dough like this it would take practice, so if you made them several times you’d then get the hang of the roll out and the roll up to get uniform cookies. Worth trying ! Could I sub coconut oil for the butter? Thank you thank you so much for sharing your wonderful recipes :-):-) this exceeded my expectations tenfold! If it wasn’t for people like you, working out the nitty gritty tricks of low carb baking, low carbing would have been history for me long ago already :-):-). My dough was initially also a bit too sticky to think of rolling out so I added a couple of teaspoons (unblanched) almondmeal I made from some pulp left over from making almond milk. 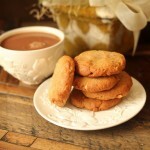 My biscuits came out looking beautiful, very close to the ones in your photo! I only have unflavored whey, how can I use it for this recipe? I’ve just made them. Not beautiful, but taste nice! I used unflavored whey with a vanilla bean. But, I didn’t taste the vanilla. I will definitely make them again, but I will left out the butter in the filling and will freeze the first before cutting. Today the douh was to thin. But the taste is great! I only don’t know how to store them without making them softer. Do you know? Maria, can I make them without the whey protein powder? Should I add more flour instead? If so, how much? Thank you! Great, thanks. Would psyllium husk work too? Maybe a mixture of additional flour and psyllium? In the oven now. Smell delicious. Maria, I am beginning to worry. I made these and your pumpkin muffins. Both smelled and tasted delicious before baking (batter). But when they were done, they were both dry, crumbling messes that lacked sweetness. Followed recipe to the T, with Swerve which I bought to use with your recipes. I made these for the third time tonight and took them to my in-laws who are also trying (again) to do low-carb. They took one bite of the cookies and looked at me like “are you SURE these are low-carb? !” Then my MOL said, “Too bad they have artificial sweeteners in them….” and I was like “But they don’t!” 🙂 Needless to say, they loved them. Even my husband- who never “sugar-coats” anything- said he liked them and a lot better than a lot of carby cookies he’s had. There are two things that have helped me tremendously with this recipe. First, after spreading the cinnamon and rolling the dough into a big long roll, I put it in the freezer for about 20 minutes. Makes it soooo much easier to slice without getting frustrated with the dough squishing down with every cut. Second, I greased a muffin tin and put one cookie in each muffin cup instead of putting them all on a cookie sheet. This helped them to grow UP instead of OUT which made them look cuter and rounder and helped them not too fall apart so easily. I think next time I will also put some parchment paper in the bottom of each muffin cup and grease those for an even easier time getting them out. BTW this is actually the first time I made the cream cheese frosting part- these are delicious with or without it! Thanks so much! Thank you for the tips, I wish I had read this before baking mine. I did freeze it before cutting though. They just spread out all over my baking sheet. Do they come out soft when you use the muffin tin? Thanks for the tips Katherine! I wish I read them before I made them the first time though….they ended up such a sad looking mess. Your advice worked and my second batch looked as great as they tasted. BTW I used parchment baking cups (can find at whole paycheck) to line the muffin pan and they worked fine since they peel away so easily. 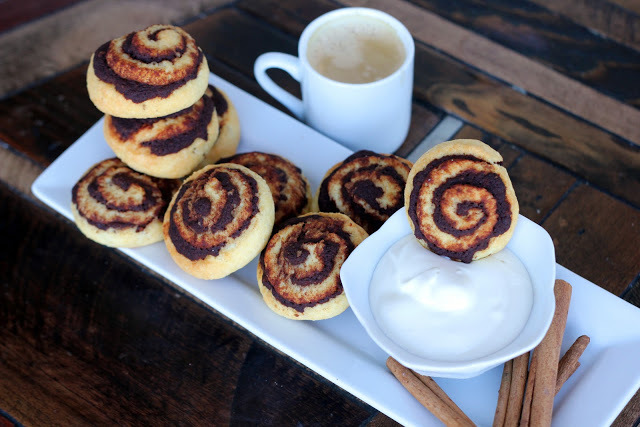 I made these but so stickly could not roll them so just put them on a cookie sheet and bake with cinnamon mixture. After 8 minutes–brown on edge but totally not cooked. Then I ended up scooping up dough and put them in a mixture cupcake pan, Then ended up coming out delicious. They are mixture cookies. Thanks for all your recipes. I have low carb most of my life but your recipes are the greatest. 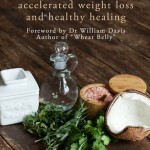 I am enjoying reading the Keto Adapted. Really gives me info for my husband who thinks I am crazy doing low carb. (This diet also helps since I have a gluten and lactose-free child and a ADHD child.) Last night I had fajitas and I used cabbage for the shells. My 9 yr old son declared that he LOVES raw cabbage. My kids eat lots of vegetables but I didn’t except his declaration. THANKS! These are wonderful! I encountered the stickiness, I believe it may be due to egg size, what size eggs do you use, Maria? I ended up just pressing them out into the rectangle on a cutting board between the plastic wrap and freezing for a few minutes before rolling. After rolling I put them in the freezer before cutting. Then when baking they spread like cookies. Everyone, even my brother, who doesn’t do anything non-sugar, like them!